Divorce is already a very emotionally taxing experience, the pain of which is only exacerbated when things don’t proceed amicably. Some people are saddened at the prospect of ending their marriage, some are relieved and grateful to put a perceived mistake behind them. Regardless of your perspective on the dissolution of your marriage, it is a universal truth that amicable divorces are easier and preferable. The last thing one needs to deal with during this potentially rough transitory period is a series of ugly divorce proceedings, accusations, asset-hiding, or general vitriol and backstabbing. Luckily, there are certain measures you can take to provide for an amicable divorce that moves smoothly and swiftly. Peaceful divorce is not a myth. It is well within reach if you are intentional in your pursuit of it and diligent about avoiding the pitfalls that could make things take a turn for the nasty. The healthiest divorces move forward without any pointed fingers. Now that you’ve decided to get a divorce, who did what is immaterial. Incompatibility is no one’s fault. Dealing with the emotional aspect of your divorce and making a conscious decision not to assign blame is one of the best choices you can make if you mean to make your divorce as smooth as possible. Cultivate an environment of respect and dignity outside of the courtroom and this will translate to the courtroom. 2. Endeavor to have good-faith divorce negotiations. Divorce involves a careful untangling of assets, debts, property and other things you and your spouse may have built and achieved together. Healthy, well-intentioned custodial agreements are among the most critical aspects of an amicable divorce. The terms of your divorce should be negotiated in good faith. Approach these things with a clear and healthy perspective. Show your spouse good will and they may well do the same to you. Do not attempt to be deceitful or hide things. If you are comfortable having precursory conversations with your spouse about the division of assets and debts and making custodial agreements, then do so in a casual setting. If you are more comfortable having a lawyer present, then you can each retain a New Hampshire divorce attorney and move forward from there. You can take further comfort in knowing you have a legal representative who knows all of your rights and will see to your best interest. Their knowledge can help keep you calm throughout the process. 3. File for uncontested divorce. New Hampshire family law allows for “uncontested divorce” when you and your spouse both agree a divorce is in your best interests. You and your spouse will file what is known as a joint petition for divorce, even if there are some issues you don’t entirely agree upon. The judge will help you resolve them. Above all, if you are considering filing for divorce in the state of New Hampshire, you will want to have a trusted legal representative to walk you through the red tape and legal jargon. 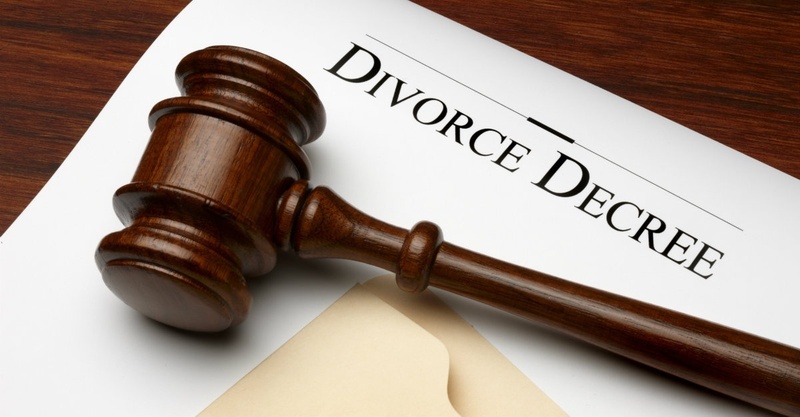 Do not hesitate to contact our NH Divorce attorneys at Tenn And Tenn, P.A. to guide you through an amicable New Hampshire divorce.